This is what could happen if there are no Net Neutrality laws. In its simplest terms, Net Neutrality is the basic principle that prohibits internet service providers from speeding up, slowing down, or blocking any content, applications, or websites you want to use. It preserves everyone's right to communicate freely online. The last time anyone spoke about Net Neutrality was back in the summer of 2016, when the D.C. Circuit affirmed the FCC's Open Internet rules, protecting net neutrality for consumers using both wired and wireless connections to access the internet. Unfortunately now with new leadership in our government and a new head of the FCC, there has been a renewed push to repeal these safeguards. What that means to most of us, especially those who work at and use the important technical services (like free Wireless Access) and resources (like our Digital Media and Digital Learning portals) that libraries, nonprofits, and other learning institutions provide to the public, is not a good thing at all. For more information concerning libraries, other learning institutions, and the very real impact these new rules could impose, the American Library Association (ALA) recently released its comments and outline on Net Neutrality Principles. 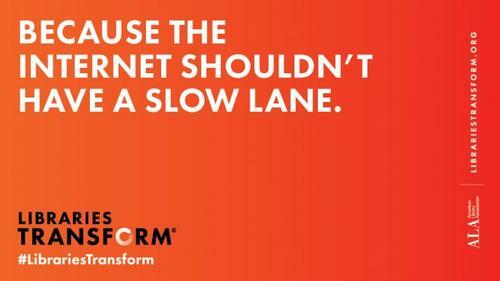 The ALA states, "Throughout, the ALA will continue to work with other supporters of strong Net Neutrality protections to ensure policymakers know how important a free and open internet is to libraries and the communities we serve. We have fought this fight many times over the past decade, and this will not be the final word on preserving the open and free internet we all need to ensure intellectual freedom and equitable access in the digital age. We will provide analysis of the draft order and additional options for ALA members to raise their voices in support of the Open Internet in the coming weeks." The vote is slated to take place on Thursday, December 14. Please make your voice heard and help preserve the open Internet. Help get the word out via social media: Tweet about it or post a Facebook status update to your wall! Write up your own blog post or forward this one around! The Free Library offers wireless networking to visitors at all locations during its operating hours FREE of charge. 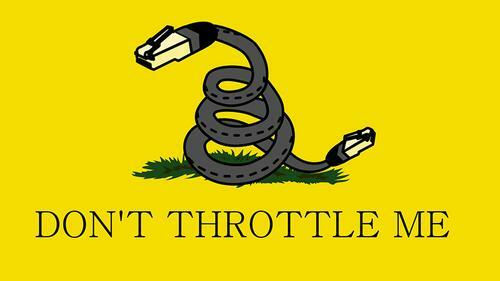 We can work against Net Neutrality ... I'm sharing this link for suggestions https://techcrunch.com/2017/12/14/the-fcc-just-repealed-net-neutrality-what-happens-next/ . Thanks! Add a Comment to Rally to Save Net Neutrality and Open Internet for All!